Drying glass or dishes after washing can take up to 40 minutes if items are left on the shelf to dry, but the Hurricane Automatic Glass & Dish Dryer accelerates this to just 4 minutes, allowing bars and restaurants to significantly reduce turn-around time. 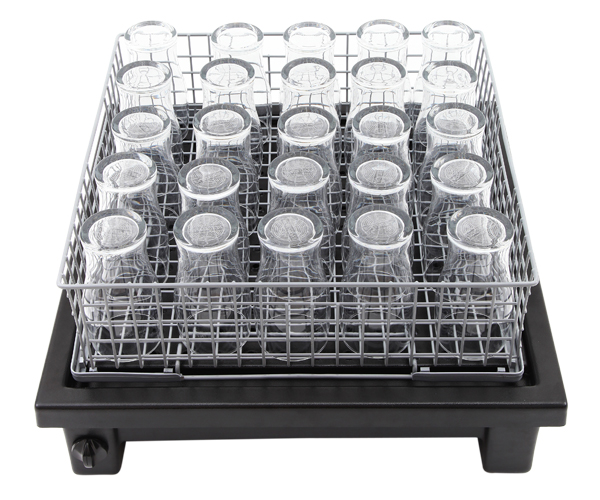 With the Hurricane Automatic Glass & Dish Dryer capable of drying 30-pint glasses on a standard 500mm basket rack in just 4 minutes, operators can save time and resource by no longer having to hand-dry glasses with cloths or tea towels. One of the biggest hurdles in the glass washing process is ensuring glasses are cooled before being re-used for service. 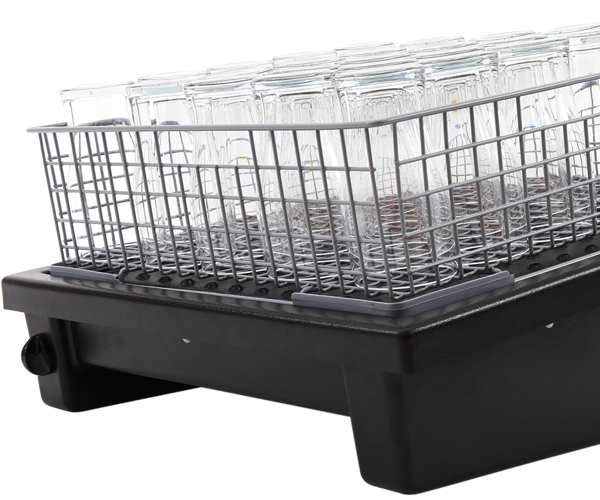 The Hurricane Automatic Glass & Dish Dryer pulls in air at room temperature, and uses a high-flow fan to blow cooled air through 156 evenly distributed air holes, meaning that glasses are immediately ready for service. Using cloths to dry glasses or plates is often considered a health and safety issue. With frequent use cloths can become damp or dirty, picking up contaminants from shelves or sinks. The Automatic Glass and Dish dryer eliminates this problem, using only cool air to dry glasses or dishes without contact. The Hurricane Glass & Dish Dryer can accommodate all standard glasswasher and dishwasher baskets up to 500mm square. This means that the machine can be used to dry and cool all glasses and plates, from the smallest glasswasher to large commercial dishwashers. 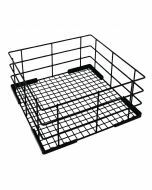 Simply place the wet basket on top of the Hurricane Glass and Dish Dryer and click start and adjust the timer controls to the desired run time. The unit will shut down automatically once the time is reached. Operators can select between 1 and 30-minute cycles. The Glass & Dish dryer is completely plug in and play, supplied with a standard 3 pin plug. No waste connection is necessary as the drying air will cause water to completely evaporate into the atmosphere. Manufactured to the highest quality standards using high impact recycled plastic, the Hurricane Automatic Glass & Dish Dryer features ISO9001 accreditation and is CE marked. Maintenance and cleaning is simplified with a removable top cover that can easily be washed down separately from the unit. The Hurricane brand represents a range of light catering equipment that has been sourced from a range of international suppliers. The brand is focussed on helping international manufacturers to develop innovative products and bring them to the UK restaurant and hospitality market. Hurricane Catering Equipment utilises tried and tested technology but applies it in a novel way. This approach ensures that all Hurricane products offer excellent value for money alongside incredible durability and reliability. Supported by an extensive UK parts and service network, all Hurricane Catering Equipment is backed by a commercial warranty.